New PowerBall® Welding Cables feature an energy efficient design with enhanced conductivity. Traditional crimped welding cables provide poor conductivity, inconsistent current stability and can even detach when crimped improperly. 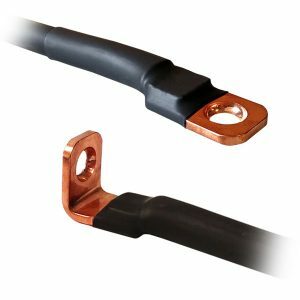 All-copper connection points with consolidated copper lug joints used in PowerBall® Welding Cables provide superior conductivity, with over 72% less electrical resistance at the cable joints. 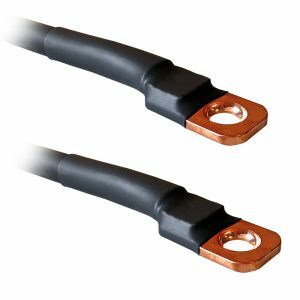 Stronger and more conductive cable joints provide improved electrical stability, reduced heat build-up and increased service life. Patent pending design. 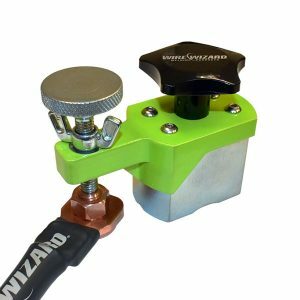 PowerBall® Welding Cables feature an energy efficient design with enhanced conductivity. Traditional crimped welding cables commonly used in MIG welding provide poor conductivity and can even detach when crimped improperly. 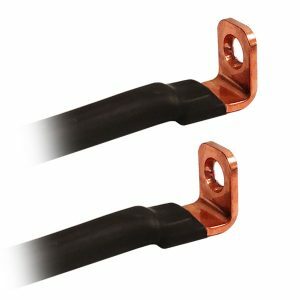 All-copper connection points with consolidated copper lug joints used in PowerBall® Welding Cables provide superior conductivity, with over 72% less electrical resistance at the cable joints. 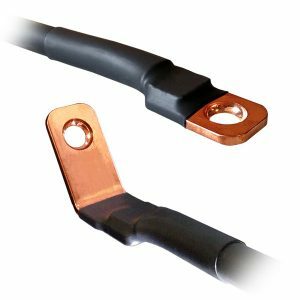 Stronger and more conductive cable joints provide improved electrical stability, reduced heat build-up and increased service life. Cables sold fully assembled with lugs, polymer strain reliefs and two copper nuts (standard 1/2-13 threads – click here for metric M12 threads). Patent pending design. 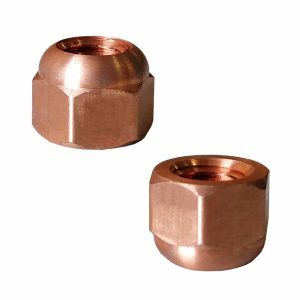 These copper nuts are designed specifically for PowerBall® Welding Cables and Magnetic Ground Clamps. 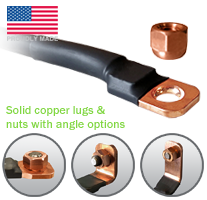 Built with solid copper for high conductivity, the rounded end creates a strong connection point at the lug with reduced electrical resistance. Available with standard 1/2-13 threads to fit most power source manufacturers and metric M12 x 1.75 threads used by European and Asian based manufacturers (verify threads on power source/feeder prior to ordering). Sold individually.